We thank you both for going out of your way travelling 3 different countries and pushing yourselves to your limits. We thank you for taking something you enjoy and using it to make a difference! For inspiring others and opening their minds. You are true heroes, selfless and beautiful. 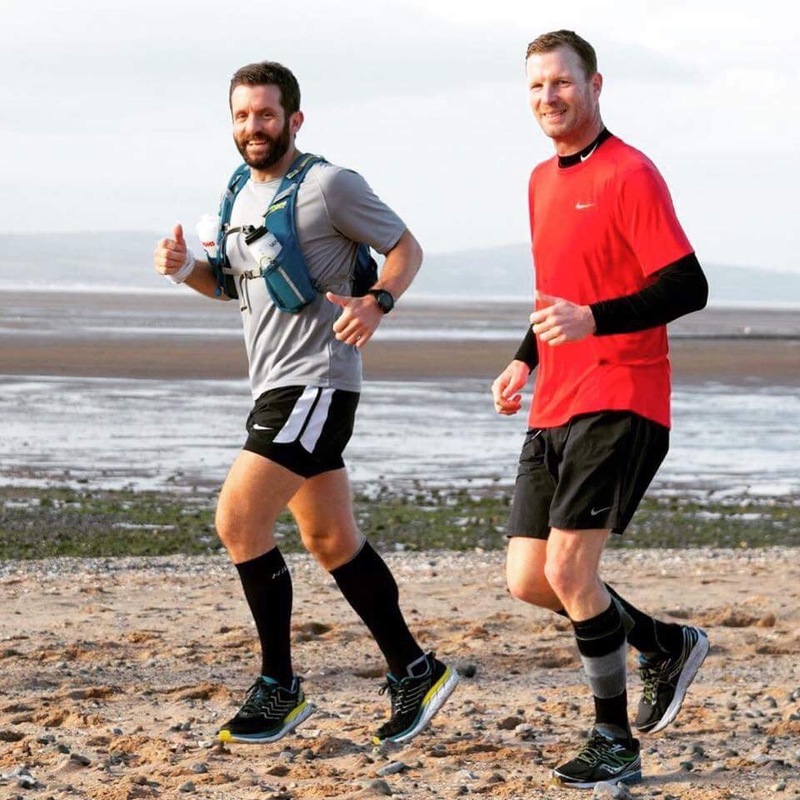 John completed 4 marathons in 4 days in 3 countries and Dave joined him for the last 2. This was all for the 6 Uk children with DIPG travelling to Mexico for treatment. In the Uk, there is simply no hope for our children, we are told to go and make happy memories as inevitably they will die. Well we are not prepared to give up on our beautiful little souls, there is hope, in Mexico they are trying all they can to help our children and come up with an answer. Our Uk government currently does not support or fund this treatment and so we have to do it ourselves. Thank you for all that got involved, running alongside John & Dave, words of encouragement, donations this all means so much to us. All our love, Ashleigh, Steve and all of our Uk DIPG families here in Monterrey. After their successful completion of the Race at your Pace challenge in January, sisters Anne-Marie and Leighann Hazler have decided to do this again for February. That means another 75 miles to be completed each throughout the month. You can sponsor them for this event on their fundraiser page at https://www.justgiving.com/fundraising/leighannemarie. Good luck to both of them! We’ll add comments to this page for each weekly update so come back to keep up to date with their progress.